The Celtics responded in the best way possible with a demolition of the Sixers to reclaim home court advantage over the Sixers. The Celtics were led by a big 27 point game from veteran forward Kevin Garnett who had a monster game, adding 13 rebounds and 4 assists to his points tally. 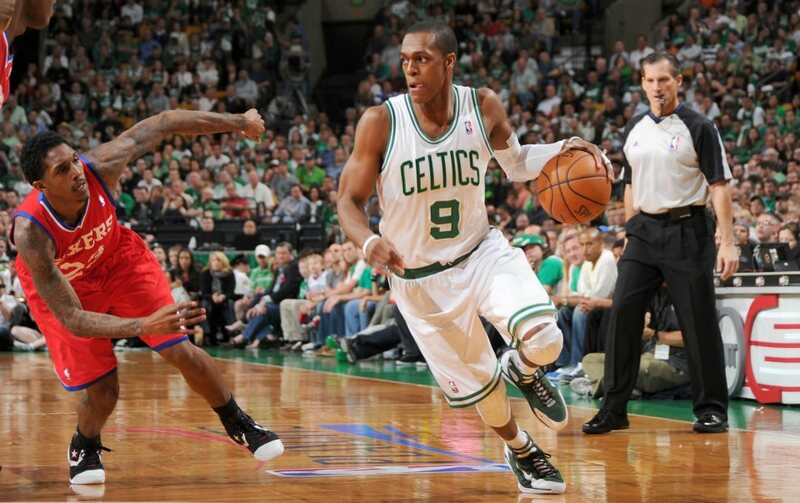 Rajon Rondo continued to dominate with 23 points and 14 assists while Paul Pierce added 14 on a bung knee. — Celtics coach Doc Rivers on Pierce’s performance despite nursing a sprained MCL in his left knee. A thunderous opening statement from OKC quickly opened up the option of a blood bath in this series as the Thunder destroyed the Lakers by a ridiculous 29 points. Kevin Durant and Russell Westbrook had 25 and 27 points respectively to lead the Thunder while newly crowned 6th man of the year James Harden contributed 17 points. Kobe and Bynum each had 20 apiece. The 76ers got the win they need on the Celtics court as they won a close game by a single point. They managed the impossible as they became the first team since the San Antonio Spurs during the regular season to defeat the Celtics on their floor. Look out for a big response in Philly! It really was not going to be anyone else in the end. Luol Deng led from the front in a big victory for the Bulls as they forced another game as the series moved to 3-2. Deng had 24 points and was aptly backed up by a near triple double from power forward Carlos Boozer who had 19 points, 13 rebounds and handed out 6 assists. 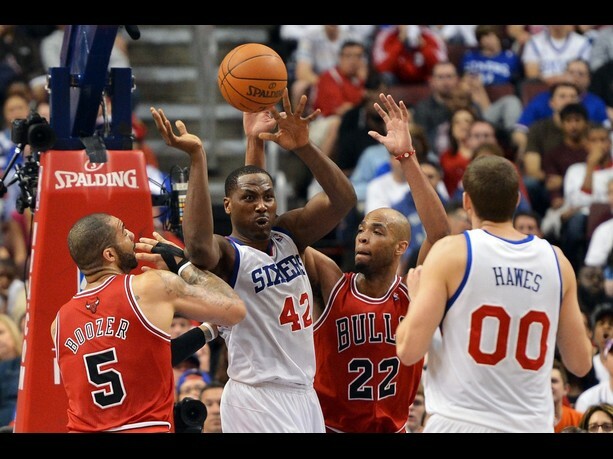 — Philadelphia forward Elton Brand talking about the Bulls. 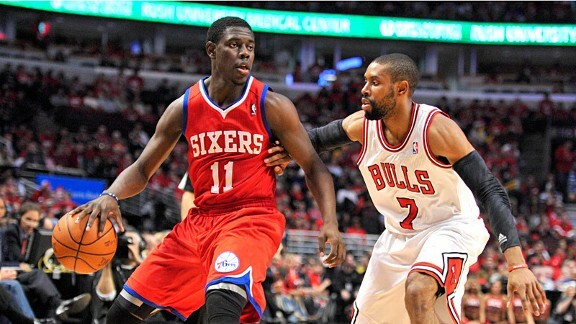 Jrue Holiday added 16 points as he continued to emerge as a top flight point guard. Both Andre Iguodala and Spencer Hawes added 10 points each. After yesterdays triumph, the Philadelphia 76ers only need one more win to become this years Memphis Grizzlies. For something that has not happened very often in history, we are looking at having the same thing occur two years in a row. Of course, injuries have played a major part in this series, with the absence of Derrick Rose the number one reason that many fall back to. But it’s hardly like the Sixers have been handed the series. Luol Deng has had zero impact on this series so far and looks a shadow of the All Star that he is. Andre Iguodala has played some great defence on him, blocking him out of the game, basically out-Denging Deng. Luol also looks lost. The Sixers don’t really have a player for Deng to clamp down on. It is almost as if the absence of the a real superstar is detrimental to Deng’s play. He does seem to play best when he is playing off someone, when he is clamping down on the defensive end. His offense usually comes from his defence and that has been lacking. He is unfortunately carrying a wrist injury, which could not be helping him in the slightest. However, the play of many Sixers have also helped fuel the wins. Jrue Holiday in particular has been playing out of his skin, turning in great performance after great performance. Most importantly, he’s not trying to do too much. Everything he does looks as if it is part of the offence, that it is natural. He rarely looks like he is forcing a play and is running Coach Doug Collin’s offense to perfection. Also, by getting out on the fast break, he brings the Sixer’s ridiculous athleticism into play, as shown by some of Iguodala’s and Thaddeus Young’s high flying dunks. With the Bulls down 3-1, it looks like the Sixers will take this series. Even if the Bulls do get past the Sixers, they certainly are not slippng past the Celtics or the Heat. The Bulls championship hopes are most certainly shot this time around, especially without Noah, as well as Rose. The greatest measure of success is prob ably going to be how the rebound next year. Bulls players, staff and supporters are all desperately hoping that Rose’s knee injury will not stop him from playing at the same break neck speed that he usually does. Because if he cannot, the Bulls could very well be facing a similar situation as the Portland Trailblazers and Brandon Roy. Promise cut short by injury. One more win is all that is required for the lowly 76ers to topple the mighty Chicago Bulls as Spencer Hawes’ 22 points and clutch shooting powered them to a 82-89 win. Playing without not only Rose but also center Joakim Noah after he injured himself last game, the Bulls fought hard but could not stop the Sixers. — Sixers head coach Doug Collins, on Hawes. Carlos Boozer had another strong game, registering 23 points and 11 rebounds as the focus of the Bulls offense. Taj Gibson added 14 points and 12 rebounds as well as blocking four shots off the bench. Point guard Jrue Holiday poured in 20 and dished out 6 assists in another great performance. Could very well end up being a bit of a break out series for the young guard. — Chicago guard Kyle Korver. The Philadephia 76ers took one step closer to emulating the Grizzlies feat of last year as they won their game three against top seed Chicago. 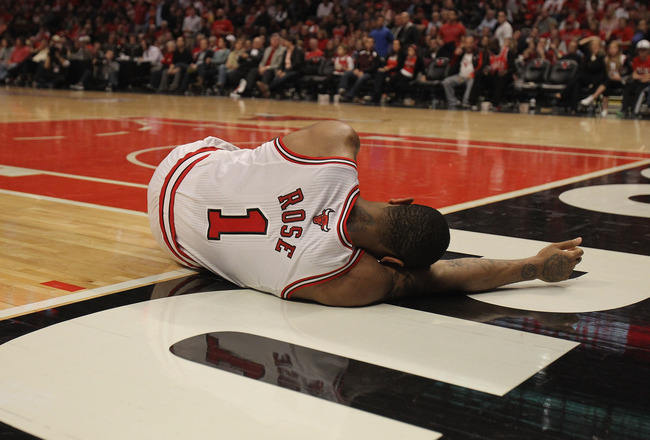 Without Rose and now Joakim Noah likely out some time, this upset is looking more and more likely. — Sixers head coach Doug Collins, on Chicago’s injuries. Center Spencer Hawes led the Sixers with 21 points and 9 rebounds whilst Jrue Holiday kept up his strong play with 17 points and 6 assists, as well as 6 rebounds. Carlos Boozer had 18 and 10 for the Bulls while All Star Luol Deng was restricted to just 5 points. Needing a big win before heading back home, the Boston Celtics got the job done despite the absence of their starting backcourt. 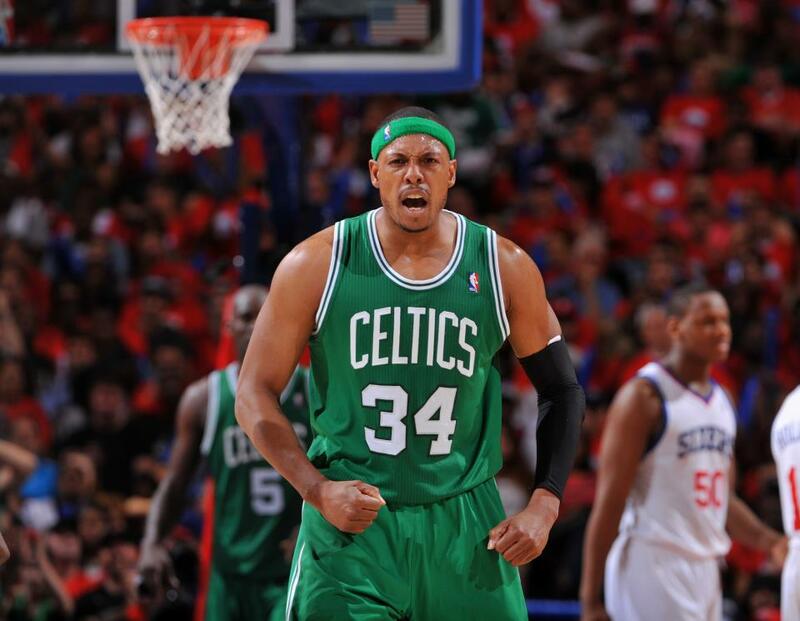 With Ray out trhough injury and Rondo through suspension, Paul Pierce was left to shoulder the load. And shoulder it he did, scoring 36 to help the Cs get the job done. In a big blow for the Hawks, superstar forward Josh Smith could be out for the rest of the series with a knee injury. Usually it’s the losing team that has to make all the adjustments coming in to Game Two. Yet it was the absence of Derrick Rose that meant thatt the Bull were grasping for answers. Without their superstar, the Bulls looked leaderless at times, with neither Boozer or Deng stepping it up. Noah did all he could to make up for the scoring, as he put in 21 points on 10-11 shooting. But it was Jrue Holiday and Lou Williams who won it with 26 and 20 respectively. The Lakers ceratinly look like they’re clicking at the perfect time of the year as they took a two match lead in their series with the Nuggets. Kobe Bryant scored 38 in his best playoff performance since 2010 while Bynum had a career playoff high with 27. Lakers are certainly looking scary and the Nuggets are in serious danger of a sweep.